SAN DIEGO, Calif. /California Newswire/ — Bank of Southern California N.A. (OTC Pink: BCAL / OTCMKTS:BCAL) announced today that it has signed a stock purchase agreement for a private placement of $7 million of the Bank’s common stock with Castle Creek Capital, based in Rancho Santa Fe, California. The transaction is anticipated to close in the fourth quarter, subject to regulatory approvals and other standard closing conditions. As part of the offering, the Bank will issue 823,529 shares of its common stock. This is Bank of Southern California’s second common stock offering in two years, raising over $14 million. 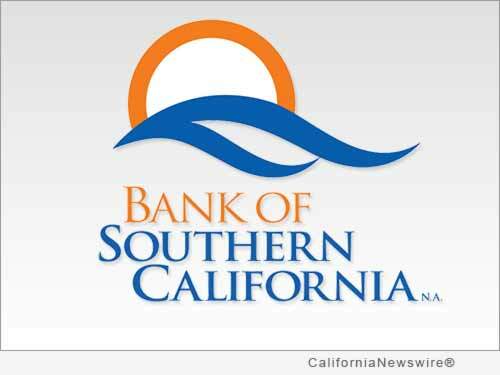 Nathan Rogge, President and CEO of Bank of Southern California commented, “Over the past several years the Bank has experienced strong organic growth and has completed several acquisitions. This additional capital will help continue to fund organic growth and provide us with the ability to act on strategic acquisition opportunities. It also increases the bank’s legal lending limit, which allows us to meet the growing needs of our clients. Recently, the Bank completed an acquisition of the deposits of the La Quinta branch of Opus Bank which closed on August 19, 2016,” concluded Rogge. MJC Partners, LLC served as the sole placement agent for the offering. Horgan, Rosen, Beckham & Coren, LLP served as the Bank’s legal counsel. A growing community bank, established in 2001, Bank of Southern California, N.A., with headquarters in San Diego, Calif., is locally owned and managed, and offers a range of financial products to individuals, professionals, and small-to-mid sized businesses. The Bank’s solution-driven, relationship-based approach to banking provides accessibility to decision makers and enhances value through strong partnerships with its clients. The Bank currently operates seven branches in San Diego and the Coachella Valley in Riverside County. For more information, please visit http://www.banksocal.com/ or call (858) 847-4780. Castle Creek Capital is an alternative asset management firm focused on the community banking industry. Located in Rancho Santa Fe, California, the firm has been a leading investor in community banking since its inception in 1990, having raised and managed five private equity funds and multiple special situations funds. MJC Partners, LLC is a Los Angeles-based boutique investment banking, wealth management, and advisory firm. Whether companies need assistance executing on their M&A strategy, meeting their capital needs, or resolving other strategic issues, MJCP has the expertise and ability to execute for our clients efficiently and effectively by working alongside executive teams and Boards of Directors. Horgan, Rosen, Beckham & Coren, LLP is a multi-service law firm that offers a broad range of in-depth legal expertise in the representation of businesses and financial institutions. They are committed to providing their clients with the highest-quality and most cost-effective legal services that are responsive to each client’s individual objectives and needs. The firm was founded in 1989 and was built on long standing relationships among the partners. All of the firm’s attorneys have been carefully chosen based upon educational and professional credentials, reputation in the legal community, and commitment to excellence. Bank of Southern California N.A.